When the theremin, the world’s first electronic musical instrument, was introduced to New York audiences in1928, some though it was just an amusing experiment. Its creator, Russian science professor Leon Theremin, demonstrated that music could be created by the movement of hands in air, without touching the instrument itself. He dreamt that his instrument would be adopted by the finest musicians of the 20th century for performance of classical, and modern, compositions. Lucie Bigelow Rosen and Clara Rockmore, two musically gifted and fashionable women, shared Theremin’s belief in the future of his electronic music. 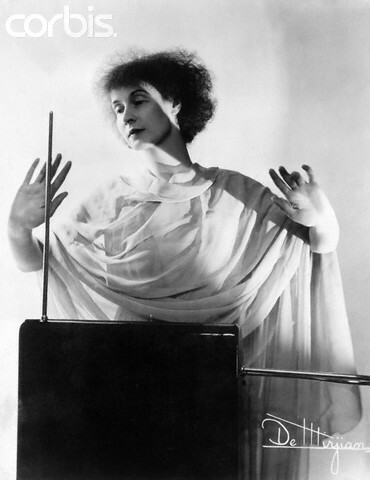 They worked closely with Theremin to develop techniques that expanded the potential sound and repertoire of the instrument. Both Rosen and Rockmore were also exceptionally beautiful women who confidently combined contemporary and historical styles in the garments they wore for performances and publicity images. They used their own sense of style on stage to define an instrument that had no image of its own. 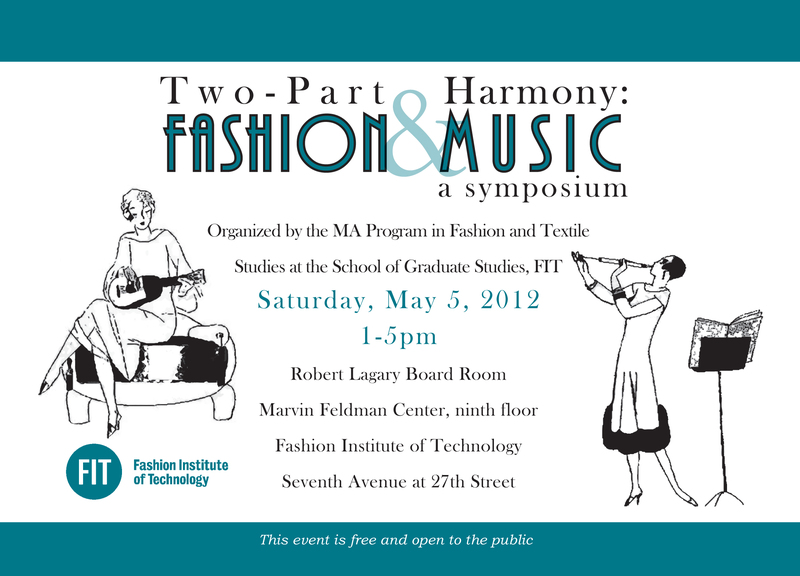 Rosen’s Fortuny gowns, or “Greek Oracle” style, and Rockmore’s dramatic gowns with surrealist details, influenced other musicians, and artists who produced theremin-related work. This paper will examine how Theremin, Rosen, and Rockmore, established the theremin’s place in modern music, Hollywood science fiction films, and the Beach Boy’s surfer sound. Rosen and Rockmore are honored today as pioneers in electronic music performance; as well as for the way the distinctive performance images they created to enhance the Theremin’s unique sound. This entry was posted in Symposium and tagged Clara Rockmore, fashion & music, Fortuny gowns, Leon Theremin, Lucie Bigelow Rosen. Bookmark the permalink.